How do I activate CDN on my server ? 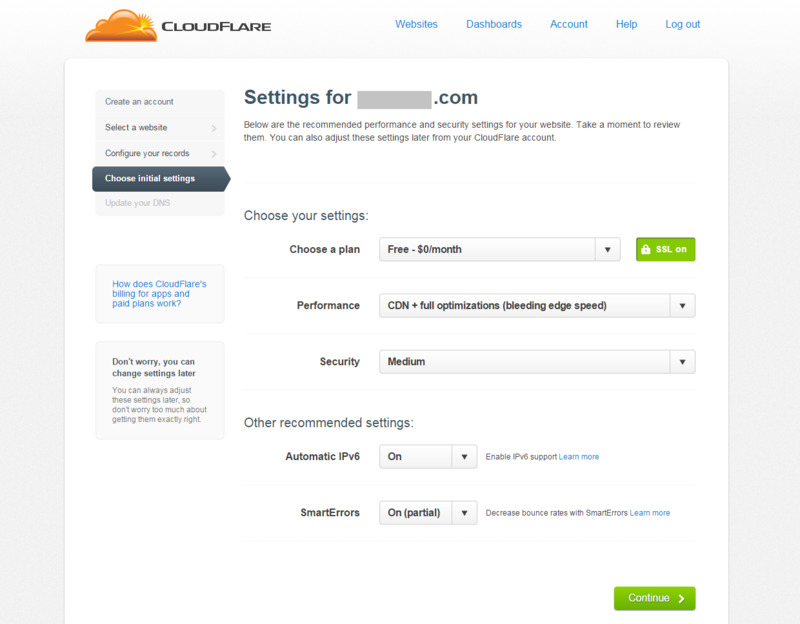 Step 1: Register with CloudFlare CDN. Step 3: Confirm and Configure your DNS records. 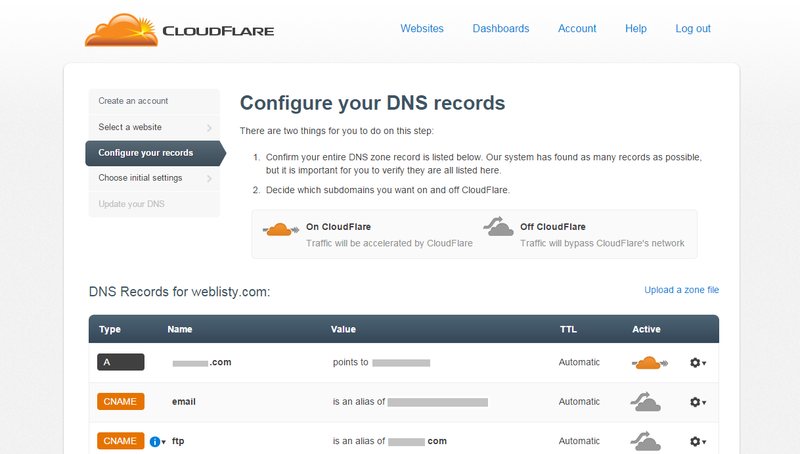 On this page you will see your entire DNS record. You need to decide for which subdomain you want the service on or off. 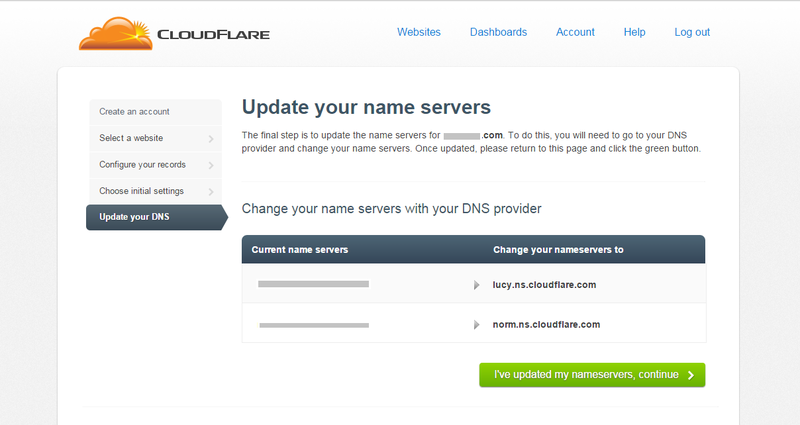 Step 5: Update your DNS records to the new nameservers mentioned on the page. 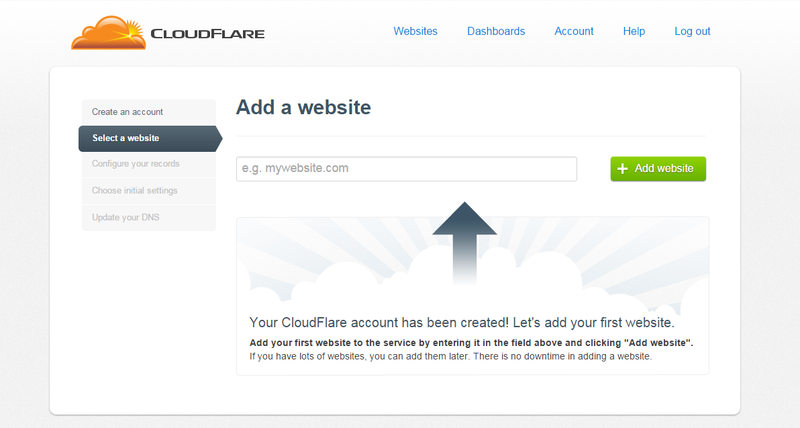 Step 6: Install and setup the cloudflare plugin on your WordPress site. Navigate into your WordPress dashboard to the plugins overview page. Next select “Add New” found at the top of your view. Search for “Cloudflare” and select install on the correct plugin. 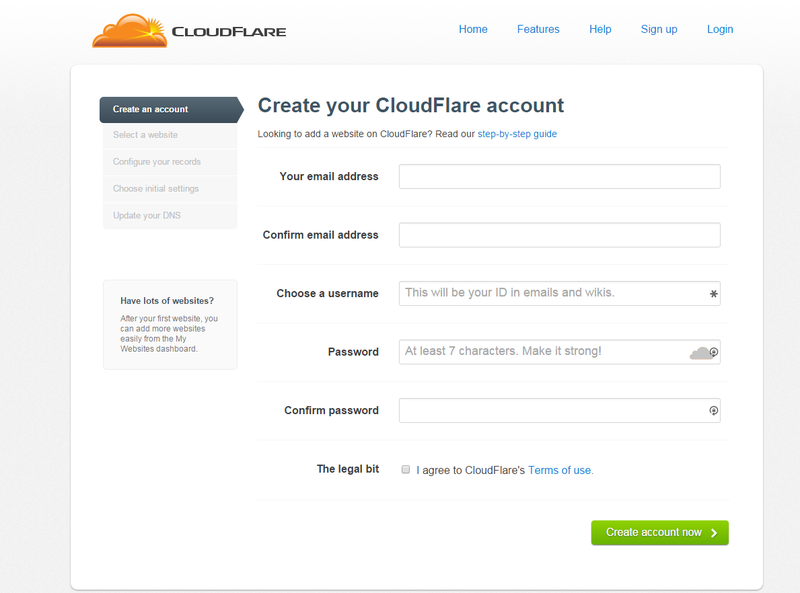 Access your Cloudflare account dashboard by going to the “My Account” tab while signed in to the service. You will need to have two pieces of information to connect the WordPress plugin.